These young people of the parish can come into a deeper relationship with the Lord by serving the sacred mysteries. In this service the children learn reverence as well as the proper protocols around the altar of God. It is both a privilege and a gift to serve at Mass for our parish community. See about Altar Server’ Training below. “Throughout life, then, endeavor. God’s graces to employ; And be in heart forever. 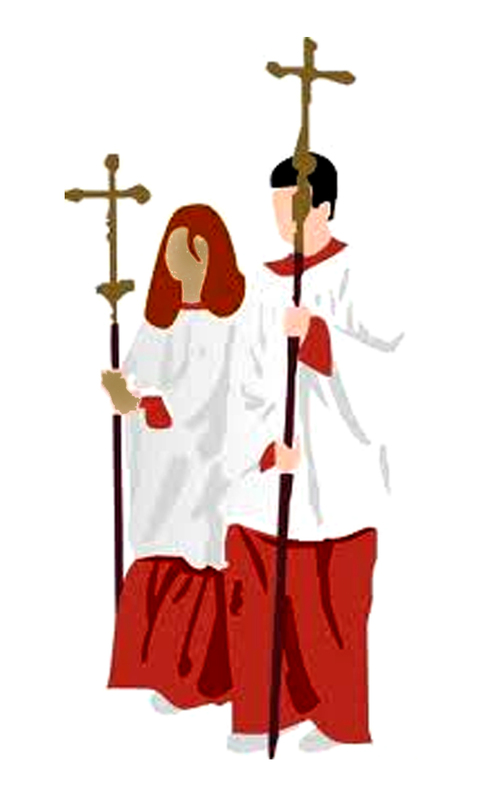 The altar server’s immediate and primary duty is to assist the presiding priest. The Altar Server remains in full view of everyone throughout the liturgy. When the Altar Server prays and sings with enthusiasm, they give good example to others. Carrying the cross/crucifix or lit candle in opening procession to the altar or other designated position. Present the Sacramentary to the Presider and hold it open for him. Bring items to the altar for the Liturgy of the Eucharist. Stand to the left or the right of the priest at the foot of the altar in order to receive the Offertory Gifts from the presenters. Pour water over the priest’s hands as he prays. Clear the altar after Holy Communion has been distributed and the priest has returned to the altar to put the remaining consecrated Hosts in the ciborium. Pray, sing and listen attentively during the Liturgy, providing good example to all the faithful. The first phase of Altar Servers’ training was held on Sept 05, 2016 (Labour Day). There were twenty three (23) junior and senior Altar Servers attended the training. A “big thank you” to Fr. Nicolas, Deacon Ken, all Altar Servers and parents who sacrificed their time to be at the event.